The defensive weapon of Captain America! 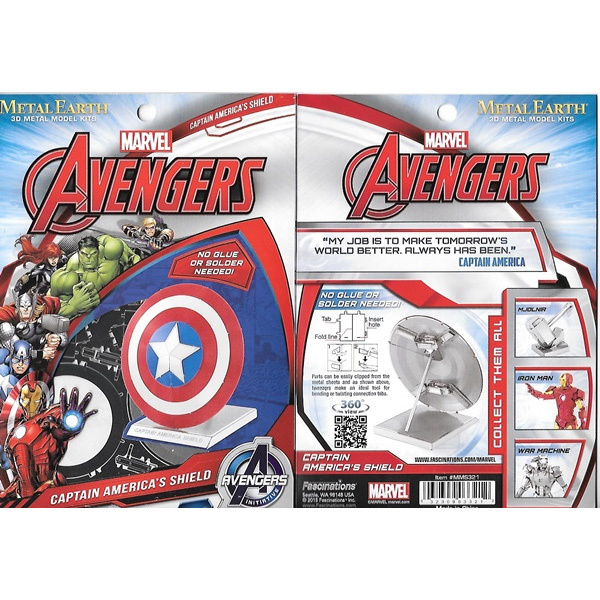 This spectacularly detailed miniature model starts out as two flat packed, laser-etched square metal sheets and finished as a 3D model of Captain America's Shield as seen in Marvel Comics and the Avengers and Captain America movies! The well-known shield is shaped like a disc and features a five-pointed star design at it's centre, within blue, red and white concentric circles. 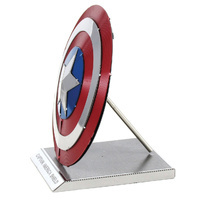 As the primary defensive weapon used by Captain America, he is seldom seen without the virtually indestructible object of steel and can even perform extraordinarily impossible tricks with it! 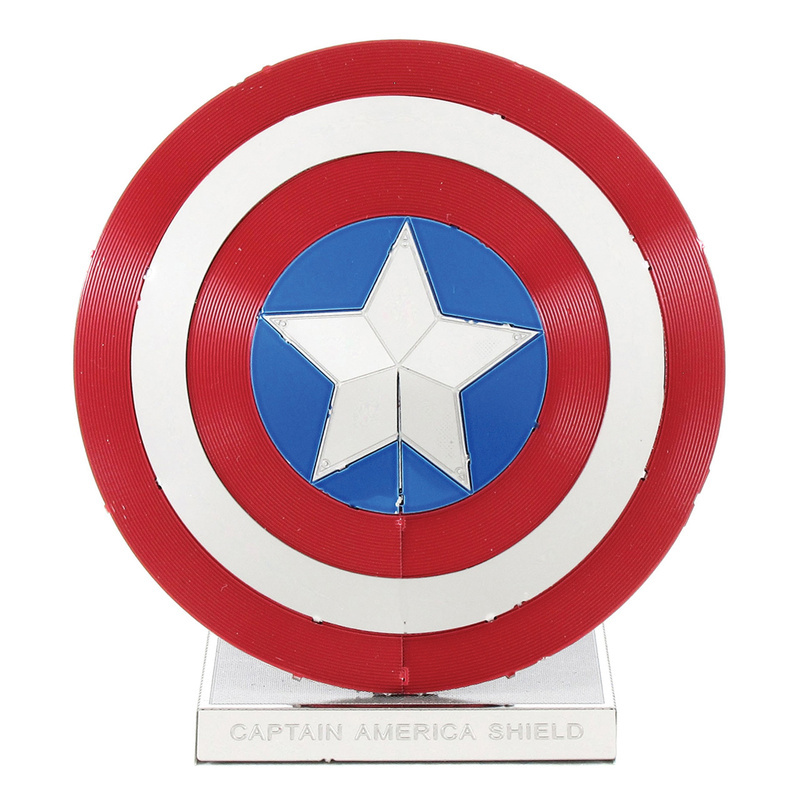 What a great memento for Marvel fans as a symbol of justice and patriotism! With no glue or solder required, use the easy-to-follow instructions to pop out the laser etched pieces, bend the tabs and connect them at the attachment points. You may need a small pair of tin snips to help you remove the parts from the metal sheets, and a pair of tweezers may come in handy to help you slot the pieces together. 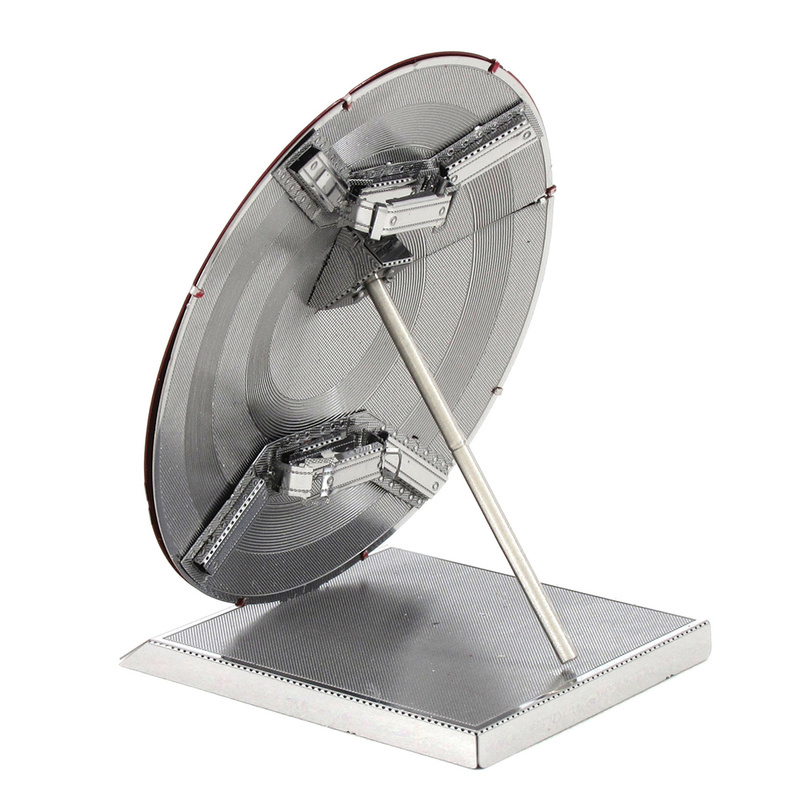 Whilst it is a challenging task, the results are satisfying and the model is striking! 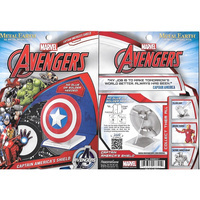 But, please be aware that these models are designed primarily for people who really enjoy putting things together, and have the patience and skills to do so! Get yourself comfortable with a good light source to complete your model. Approximate dimensions once assembled: 5.7cm x 4.45cm x 5.7cm.